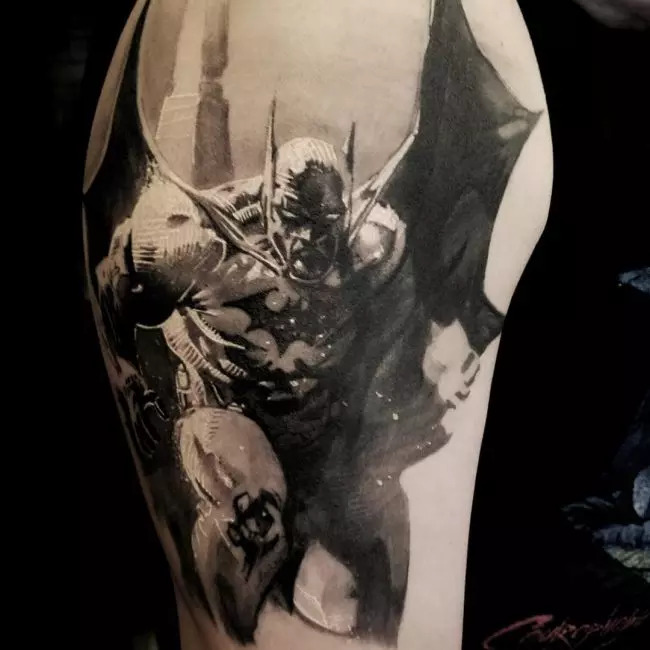 Everyone knows about the comic superhero, Batman. The character is common in a number of the comic books and everyone knows about his story. 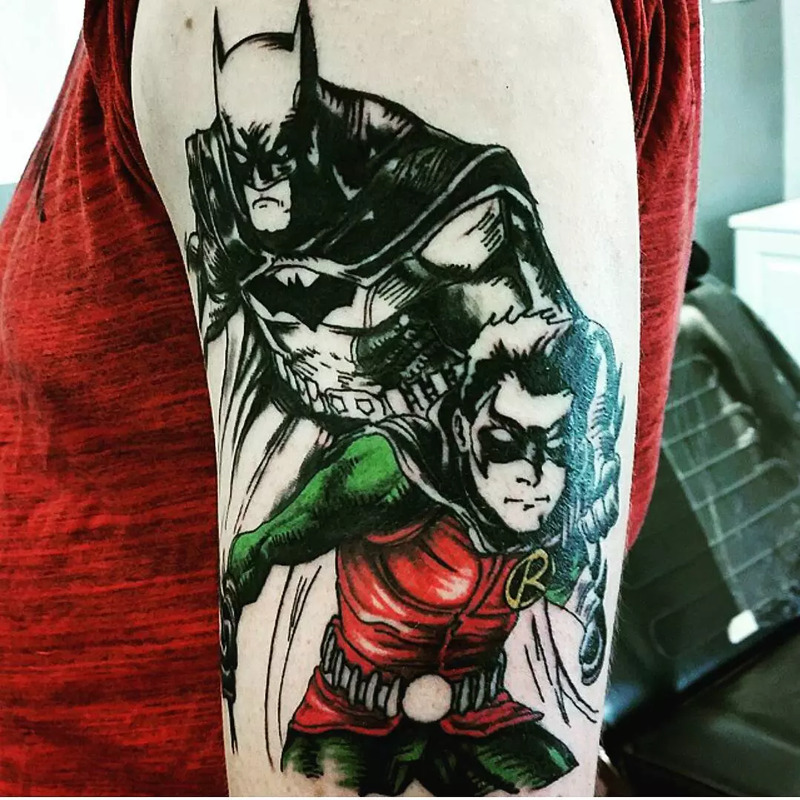 A number of people are showing their love for the character by applying tattoos of him. 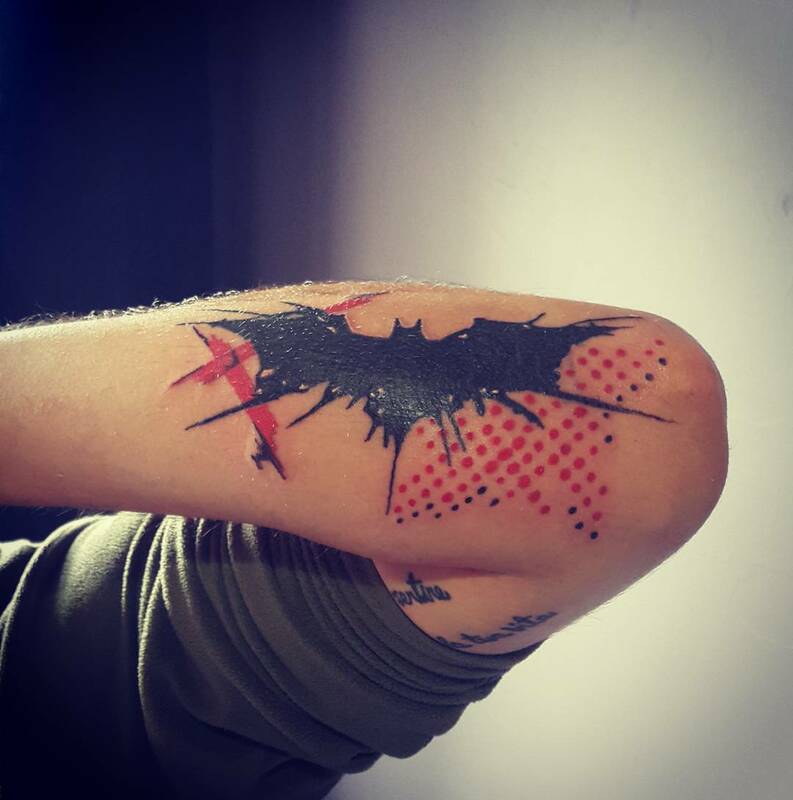 There are several batman tattoos that are applied by people everywhere. 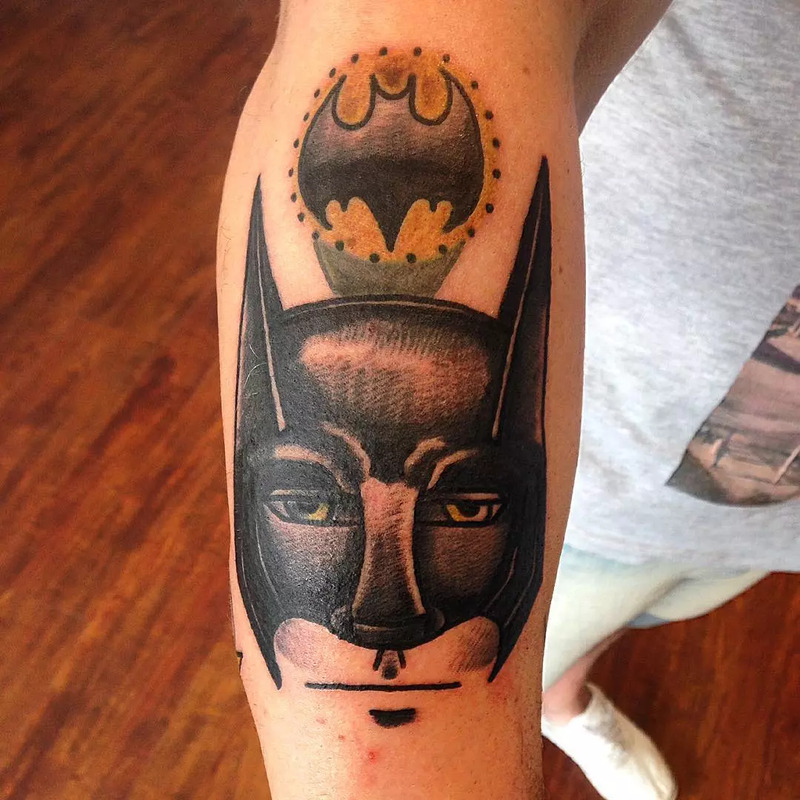 Some apply the basic symbol of the character, while others apply the entire picture of batman with his iconic mask. Any ideas for the tattoos? 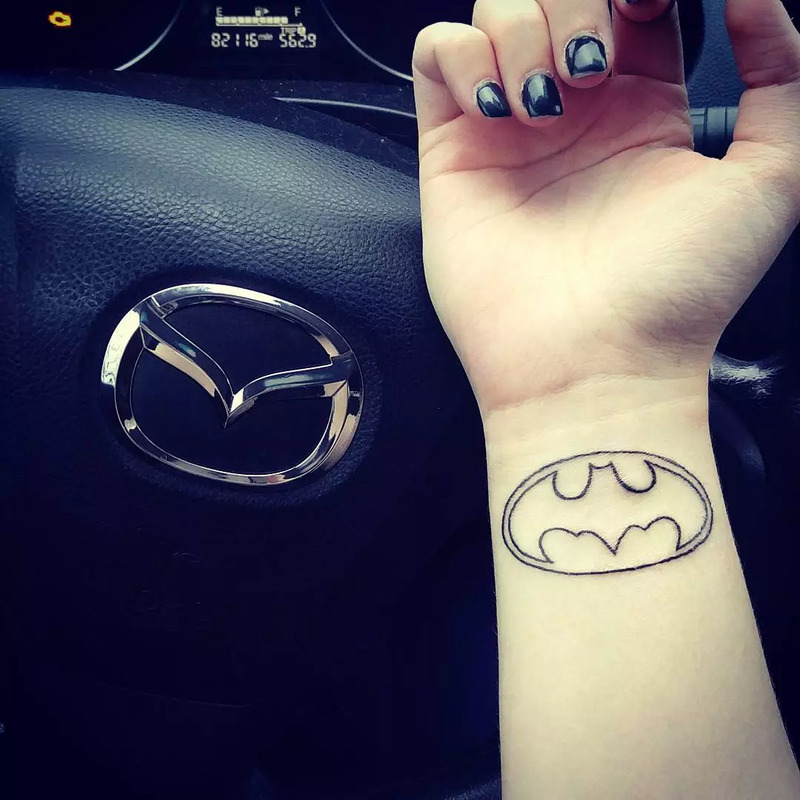 There is no exact meaning and origin of these tattoos, since they are drawn out of the love of the character. 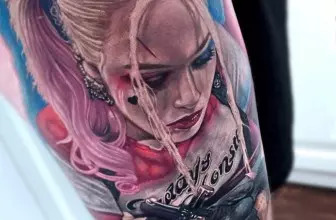 Along with the batman, there can also be other characters that may be drawn in the tattoo, including the Joker and the Gotham City. 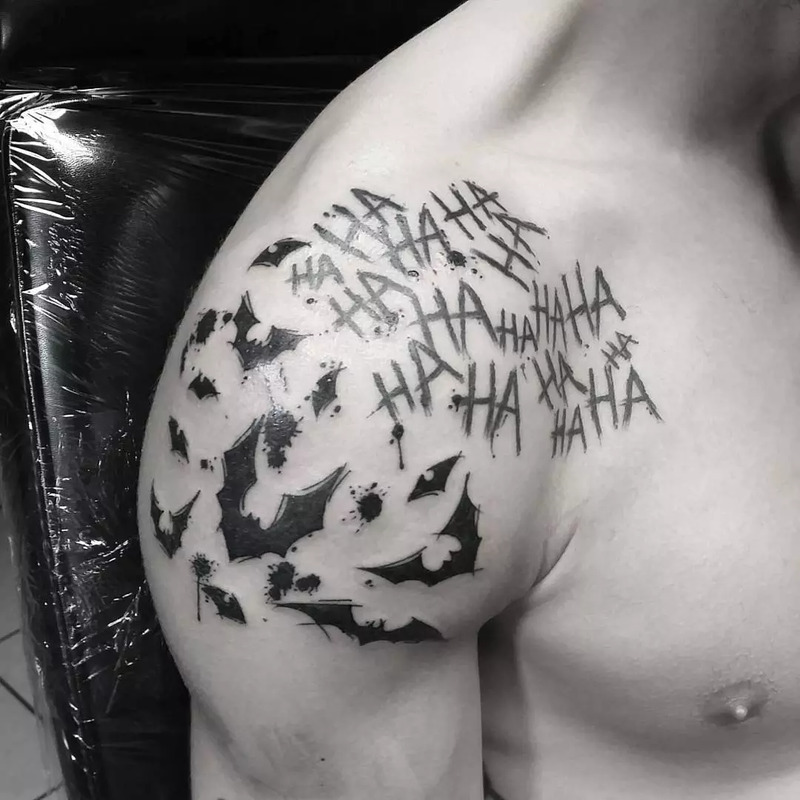 Some people will have the Joker tattoo as a sign of representing the Batman’s nemesis. 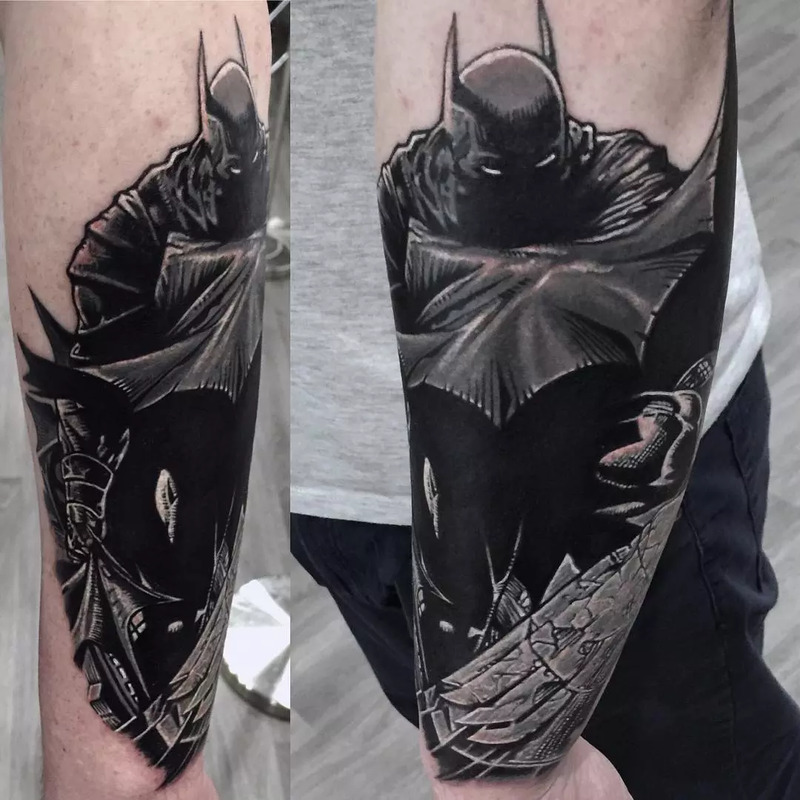 The tattoos of batman will be drawn in different designs. The design will be drawn according to the motive of the person who wants it. There are some that will be drawn basically to show how the person appreciates the character. 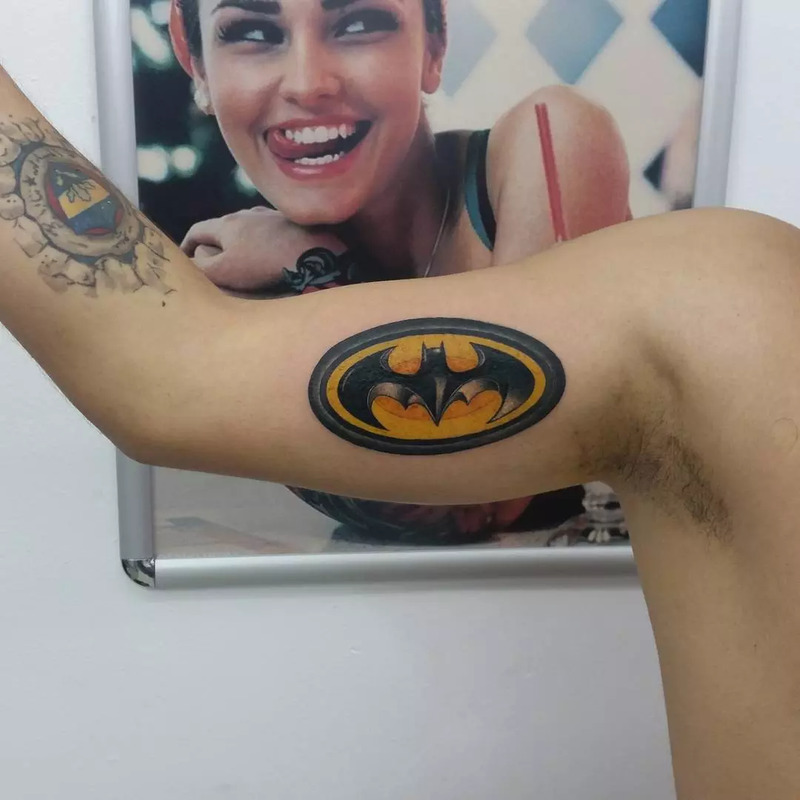 Some will apply the tattoo to show their deep love and passion for the fictional character. 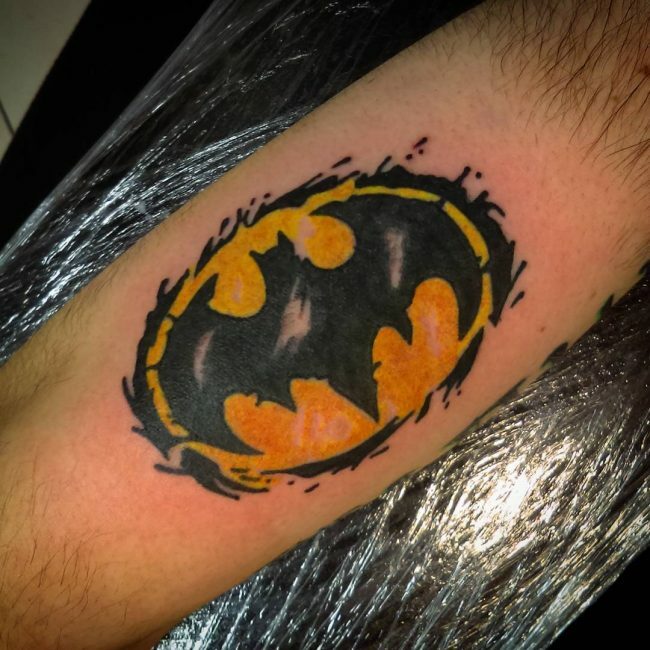 Some will have a basic batman logo that will be drawn either with a plain, black color or it can be drawn with black and yellow. This is more basic and it will not entail much detail. 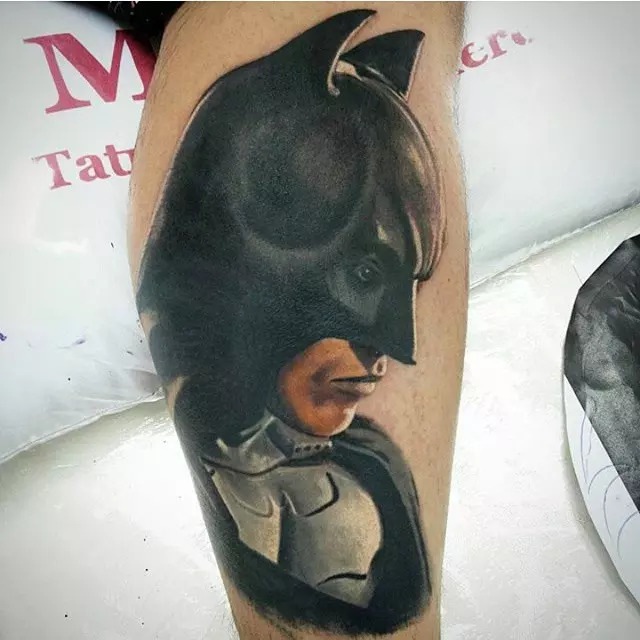 The design that you choose must show the real image or logo of Batman. 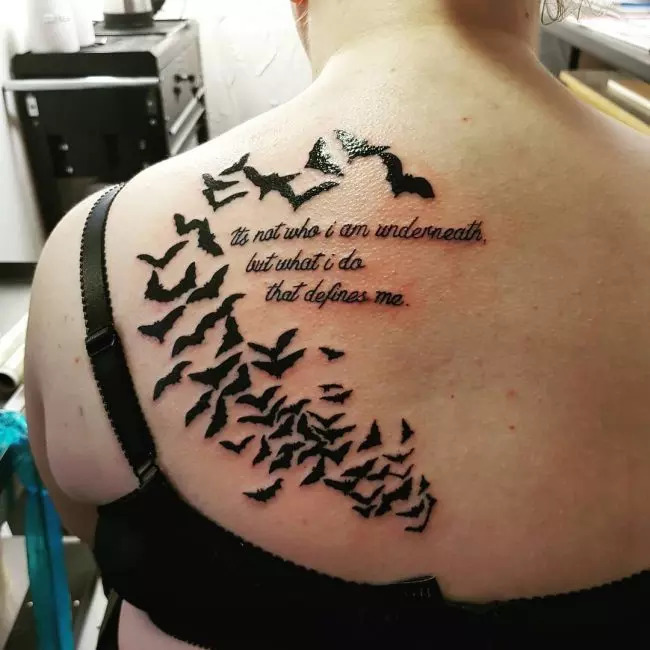 You must be keen when choosing who you want to deal with, in term of drawing the tattoo. Ensure that you choose the right person, who is aware of the character and the entire theme. Even though some apply them just for fun and to show their appreciation to the character and the entire story, these tattoos can contain some meaning. Basically, Batman was created in order to protect the Gotham City from the evil and crooked ways of the Joker. The more the Joker disrupts the peace in Gotham City, the more the Batman gets into action and fights the crime. 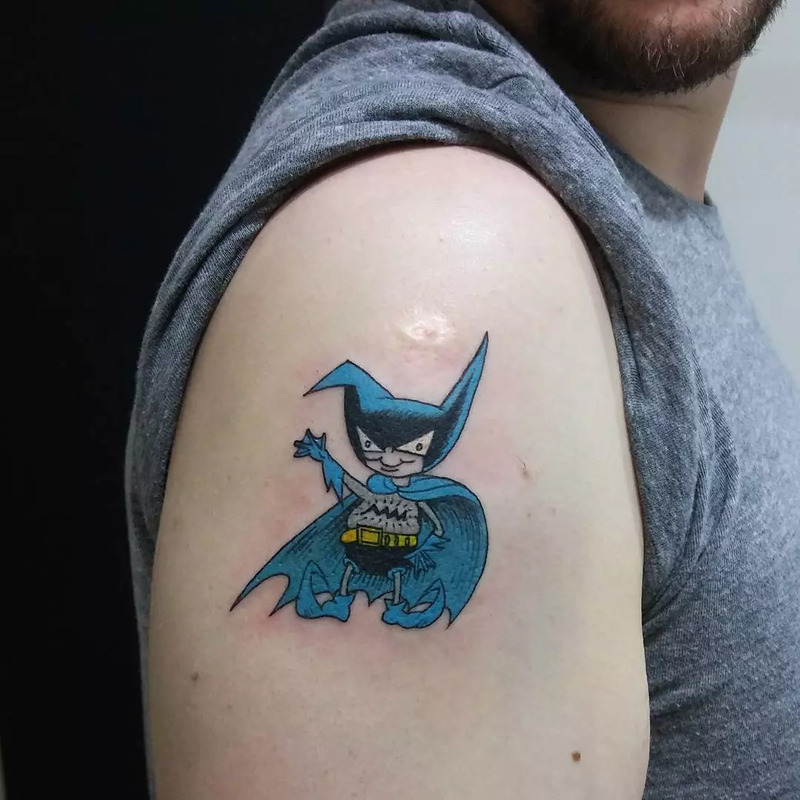 For that, this tattoo can be used to show the good societal values of the person, like justice. Some may apply it to show their courage and hate for injustice and crime. 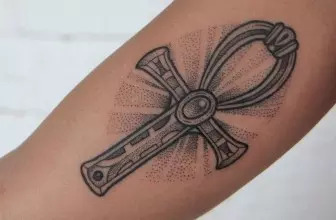 Other people may apply the tattoo to show their courage to stand against a number of things, including the common life challenges. 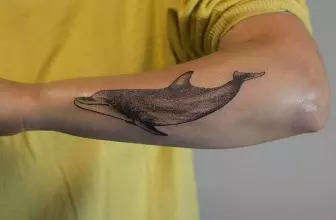 The tattoo can also symbolize hard work and total dedication to whatever a person is doing. This is in relation to how Batman is always dedicated to keep crime out of Gotham City all by himself. Batman doesn’t have special powers and he is always dedicated to taking down the Joker and other evil people that surround the city. For that, the tattoo can be used to show the endurance and perseverance in a person. All in all, everyone will have their own meaning and reason for applying the tattoo. Since these tattoos don’t have an exact and default meaning, they also do not have a special area to place them. However, they will mostly be placed on the chest, on the arms, the legs, the wrist and the side. 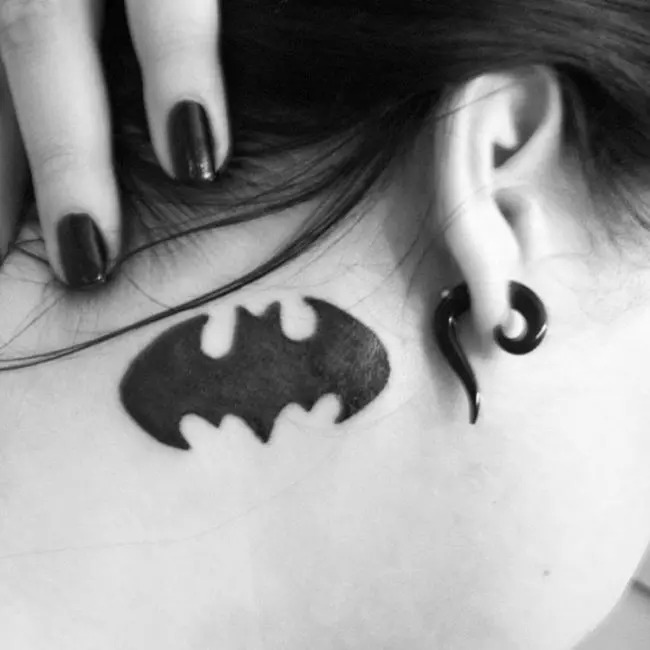 The placement will depend on the design of the tattoo. Some will also be drawn on the shoulder. 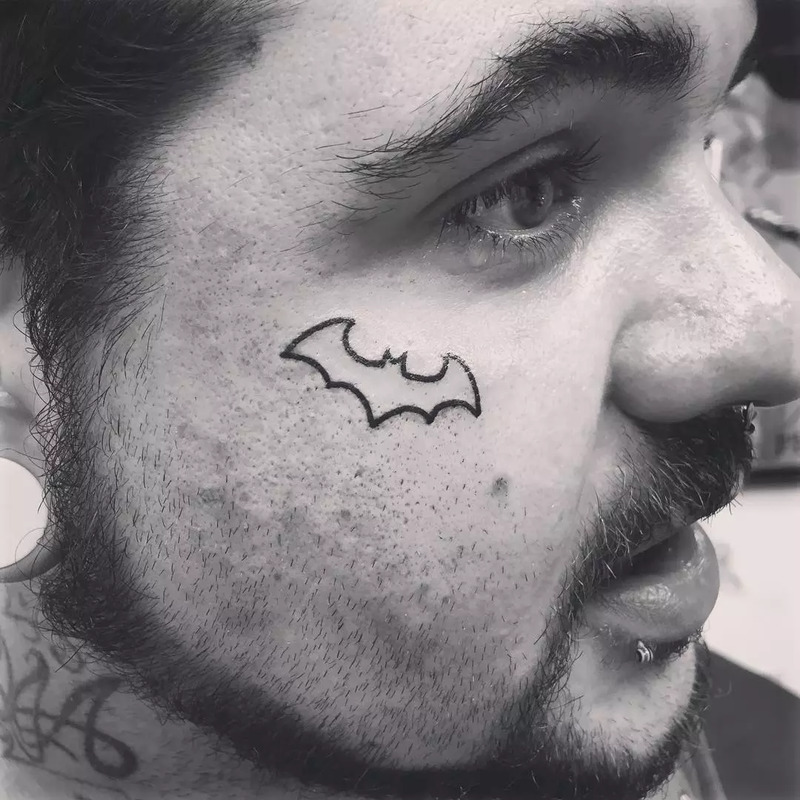 Most of the people who apply these tattoos apply them for the sake of showing them to the public. For the deep lovers of the character, they will apply them in hidden areas like the back and the side. Those that have more details will be applied in areas with more skin. 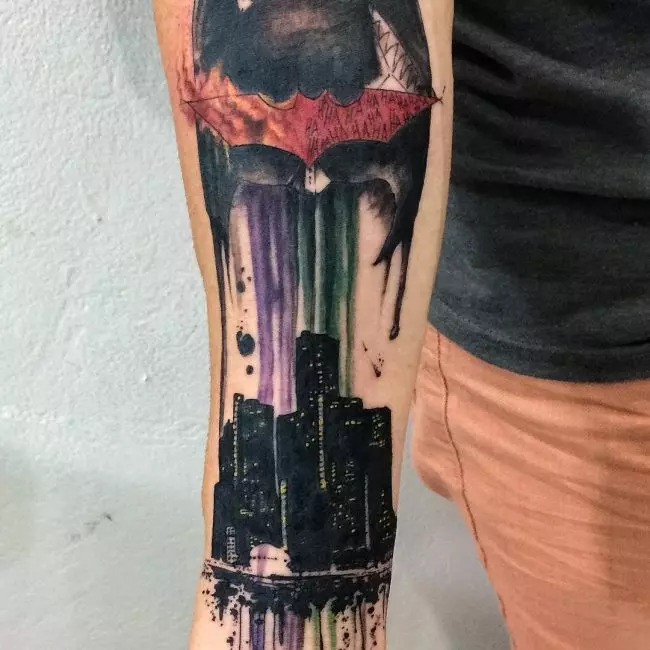 There is liberty in how the design of the tattoos should appear. Nonetheless, you must have the perfect way of how to apply it. This will help you pull out the best tattoo that looks elegant as well. In order to have the perfect design, you will want to have the right person to draw it. 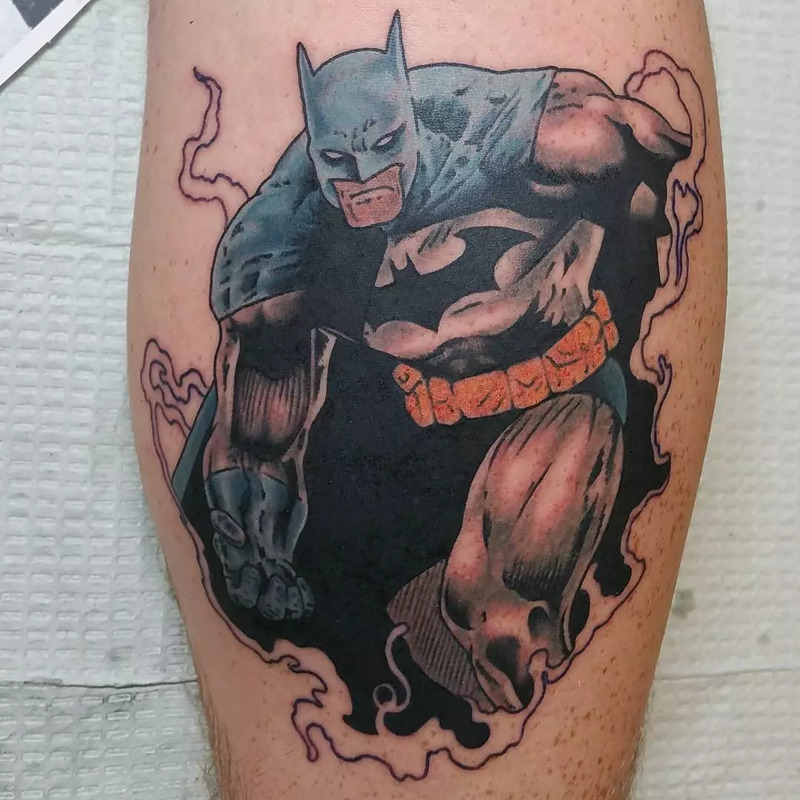 You might want to do a research on who is the best person to draw the batman tattoo and fill in all the relevant details. 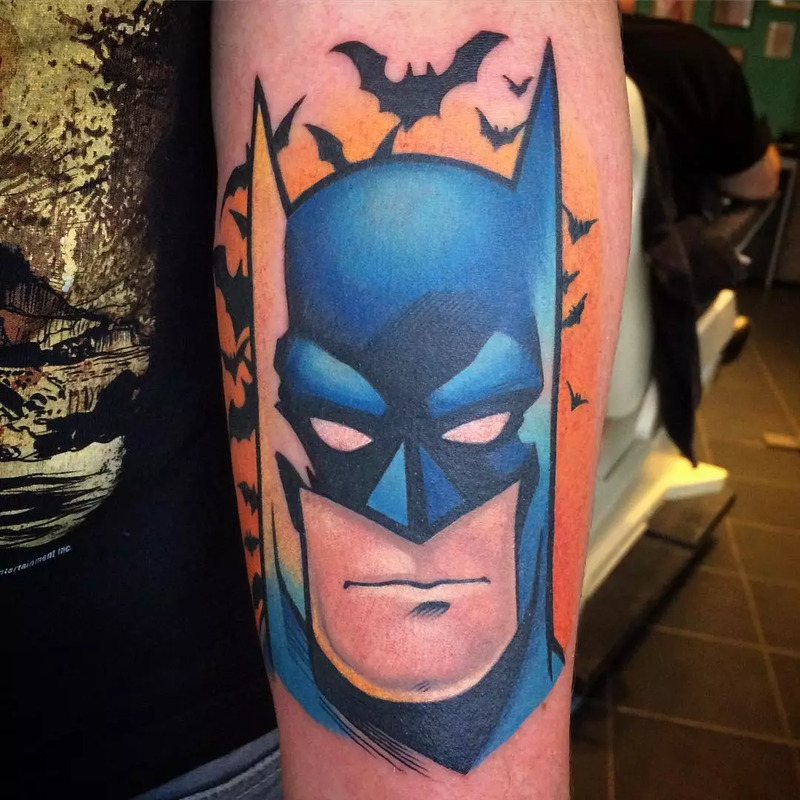 The best way to apply this tattoo is to draw the head of batman, with the dark theme in the background. With these tattoos, they tend to have more colors and they will need deeper colors. 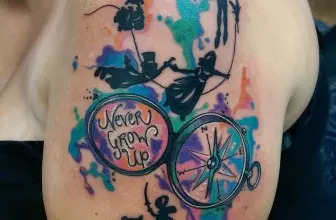 Technically, if you want to apply these tattoos, you will want to make sure that the professional applies more color to it. 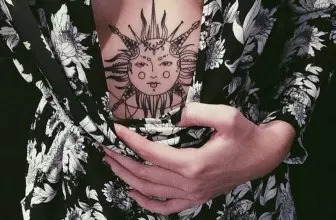 These tattoos are not just simply drawn like any other basic tattoo. Rather, they tend to have a deeper aesthetic aspect. For the guys, this tattoo would look good on the chest, especially in you tend to work out a lot or head to the pool frequently. 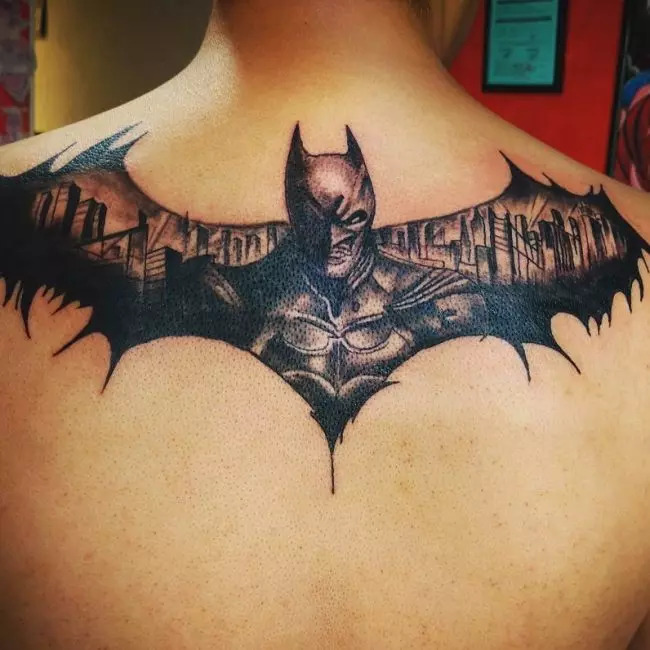 It can spread all along the chest, just like how the real batman looks with his logo on the chest. 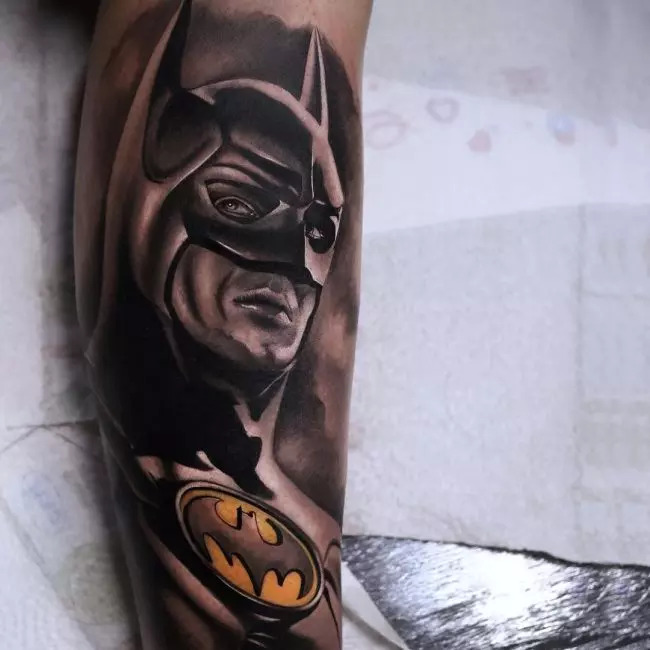 Still on the chest or the side, you can have a professional design the tattoo to look like the skin is ripped off and the Batman suit is seen under the skin. 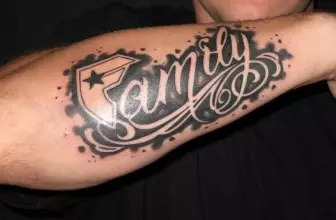 With a professional tattooist, this one can look real, so ensure that you choose wisely. For the ladies, the tattoo can be drawn on the side, under the breast. This one can look elegant, but be sure to choose the right person. 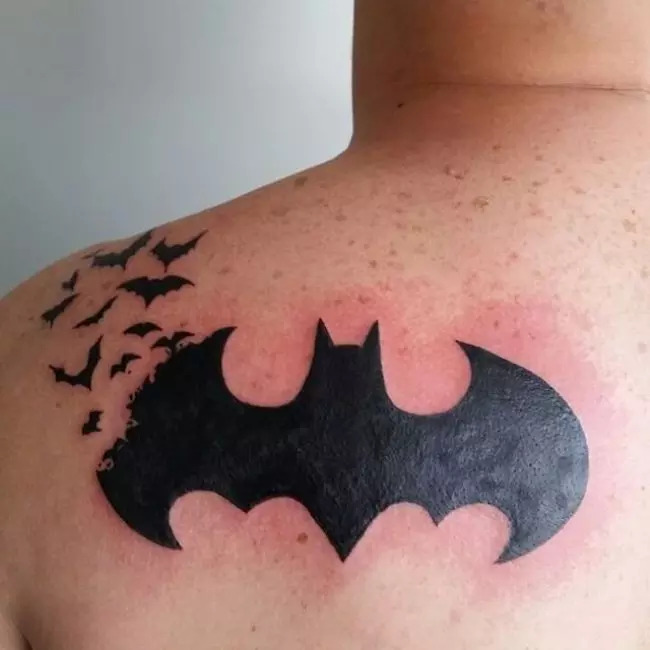 You can also have a Batman logo at the lower back, though this one might have a wrong impression to other people. 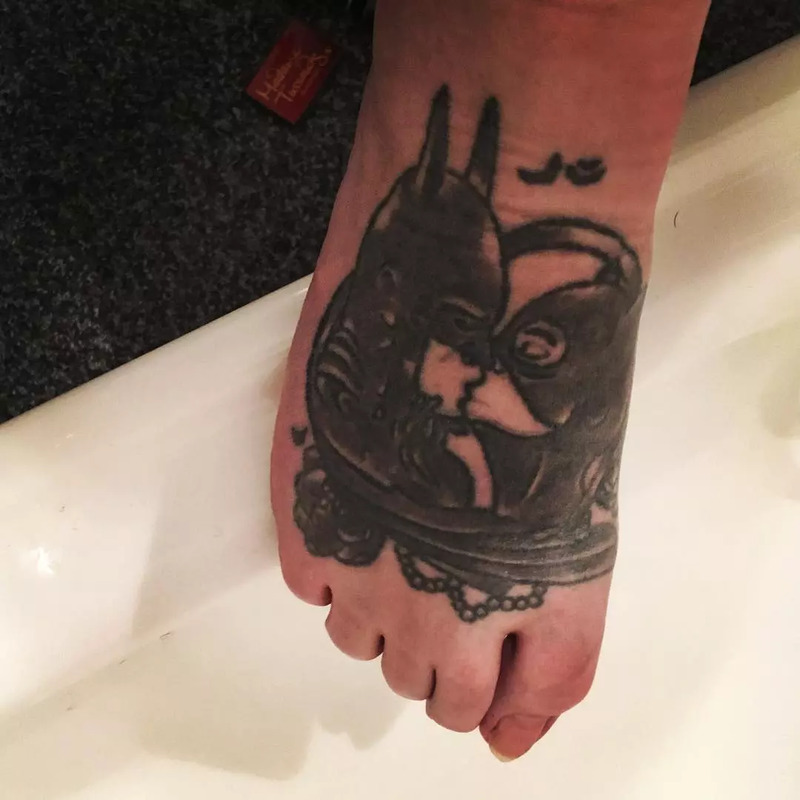 The tattoo can also be applied on the feet, since most of the ladies will walk with flips flops. 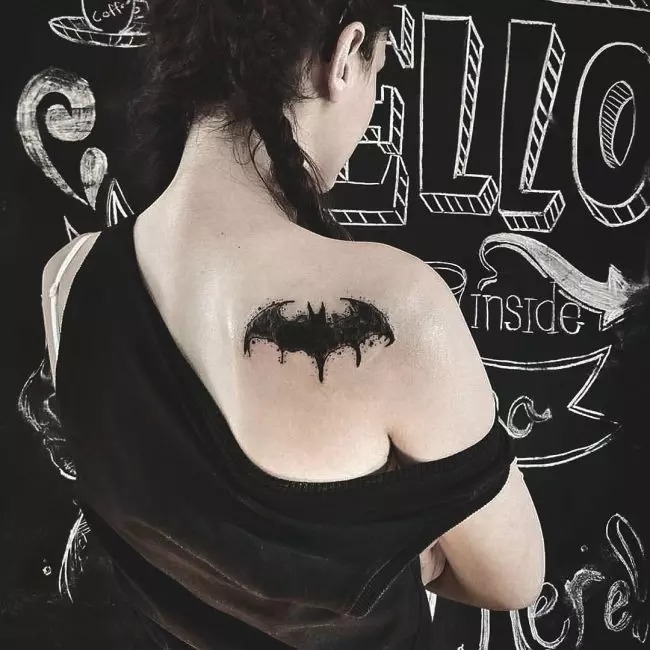 Some tattoos can be applied on the back, which can entail the full photo of Batman with the Gotham City. 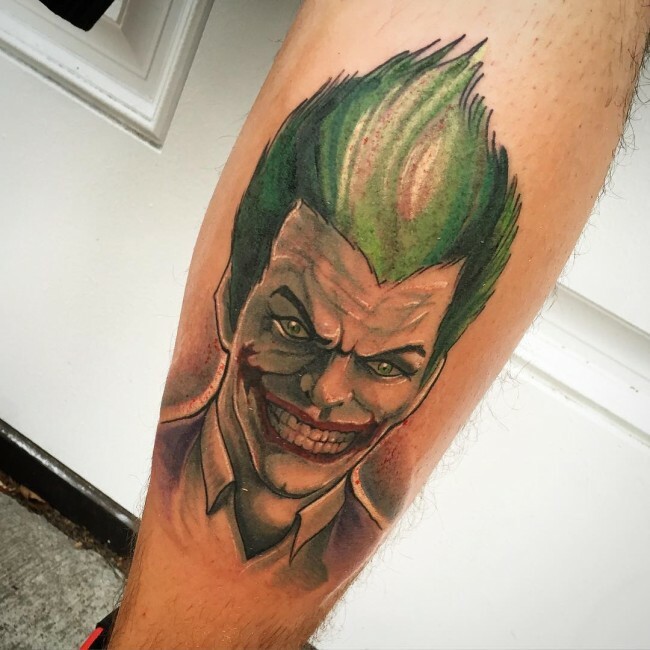 Other than the Batman, you can include the Joker in the tattoo. For instance, you can have the Batman taking a punch at the Joker. This one can be used to show that you are a no-nonsense kind of guy. Whichever type and design you choose, always find an experienced tattoo artist to apply the tattoo as it is supposed to be.